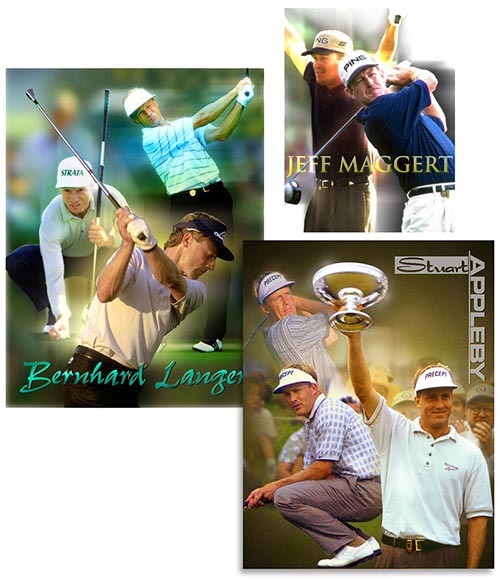 IMG’s marketing department commissioned me to design three promotional posters for professional golfers Bernhard Langer, Jeff Maggert and Stuart Appleby. They supplied me with each golfer’s Press Kit and gave me free reign. The artwork was very well received. This job was in approximately 2005. 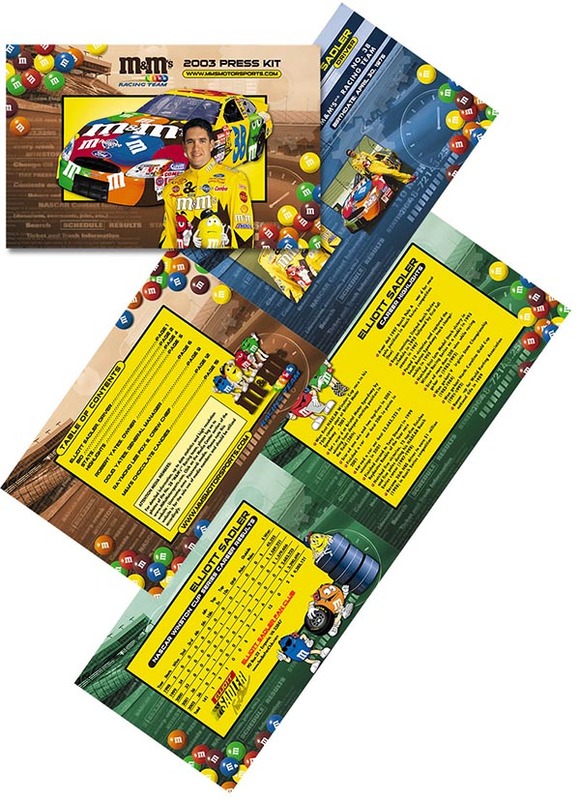 IMG commissioned me to create a Press Kit brochure for Nascar racer, Elliott Sadler, who they sponsored. Supplied with only a few photos and text, I incorporated appropriate stock photos and graphics to provide them with a winning design that enhanced their brand.